France has just revived its World Cup triumph from 20 years ago as they beat team Croatia, World Cup beginners, in a dynamic final game. Football enthusiasts from both camps have already indulged in large-scale celebrations over the win itself and the finale of the breathtaking Russia-hosted tournament. Russian model and philanthropist Natalia Vodianova has readied herself for the much-coveted World Cup final in the best possible way, stunning her 1,8 million-strong crowd of Instagram subscribers. Tennis player Angelique Kerber has beaten legendary Serena Williams in the Wimbledon final, becoming the first German to win the tournament since Steffi Graff in 1996. How do you get your message to US President Donald Trump when he won't give you the time of day? 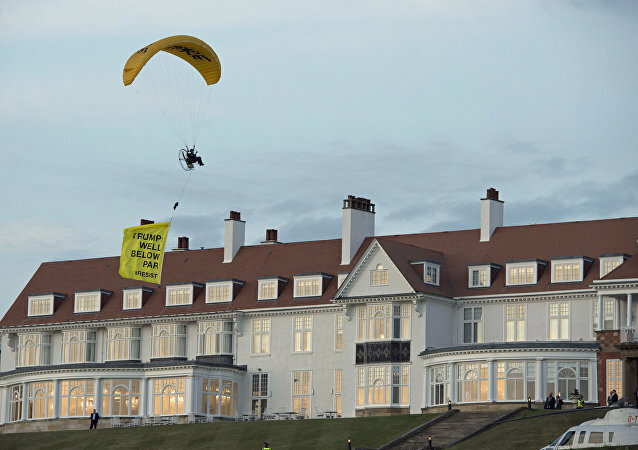 You get a paraglider to conduct a flyover with a banner while he's at one of his resorts. 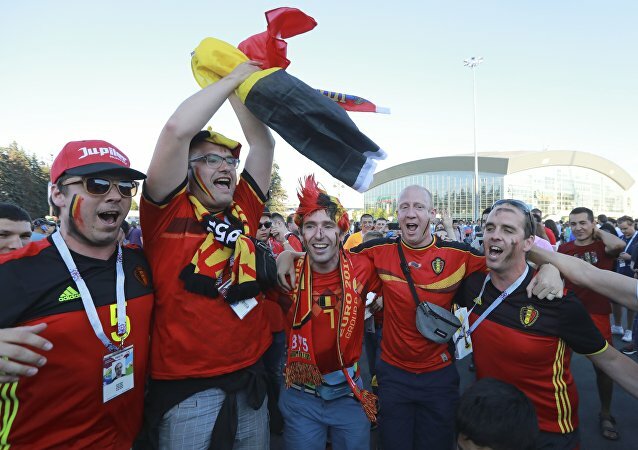 Belgium’s Red Devils will be bringing World Cup’s Bronze home after a 2:0 match against England. Sputnik correspondent talked to fans from both countries outside St.Petersburg stadium about their impressions from the game.